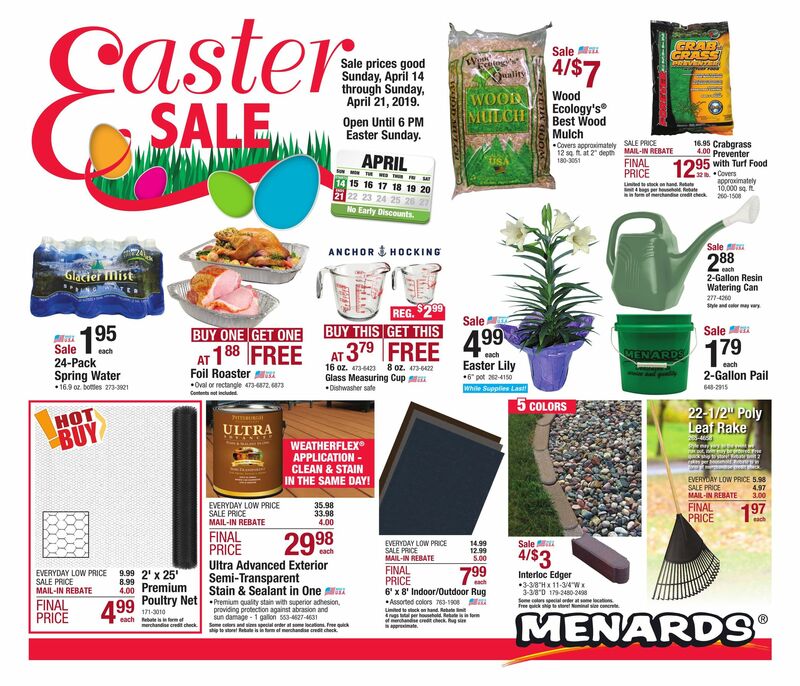 View Menards best deals: Larson Titan 32″ x 80″ White Finish DuraTech Midview Self-Storing with Reversa Screen; Black&Decker Workmate 125 Workbench; French Gothic 4′ x 8′ Cedar Spaced Picket Fence Panel; 1″ x 4″ x 8′ Standard Pine Board; MasterCook Tabletop Gas Grill; Backyard Creations 4-Piece San Paulo Seating Collection; 2′ Bamboo Torch; 2-Gallon Spectracide Poly Tank Sprayer; 2 Piece Tanto Paraframe Set; 44-Combo Drawer Cabinet; 6″ x 8″ Silver Decorative Brackets 2-Pack; Whirlpool 5.3 cu. 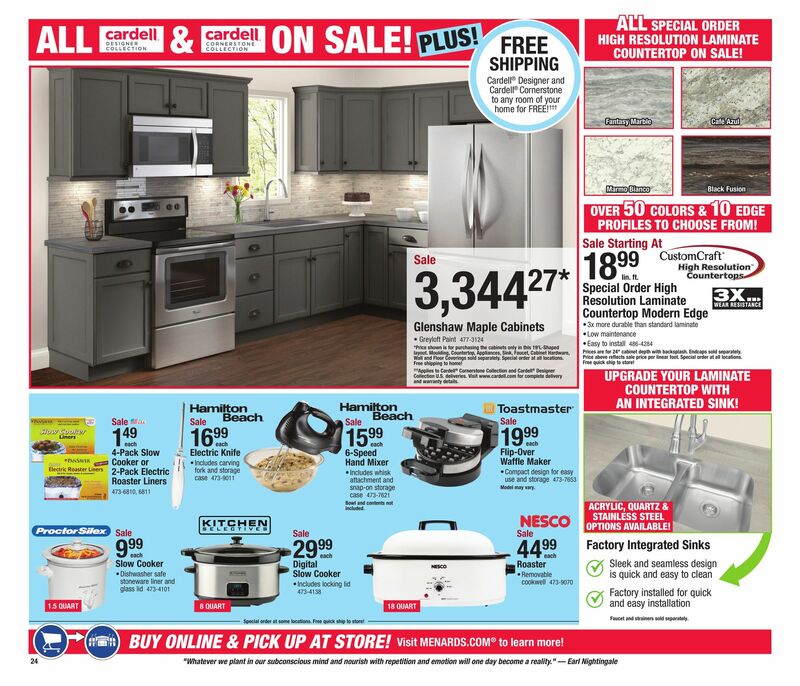 ft. Freestanding Electric Smoothtop Self Clean Range; Old Mill Short Sleeve Pocket Henley Gray – X-Large. 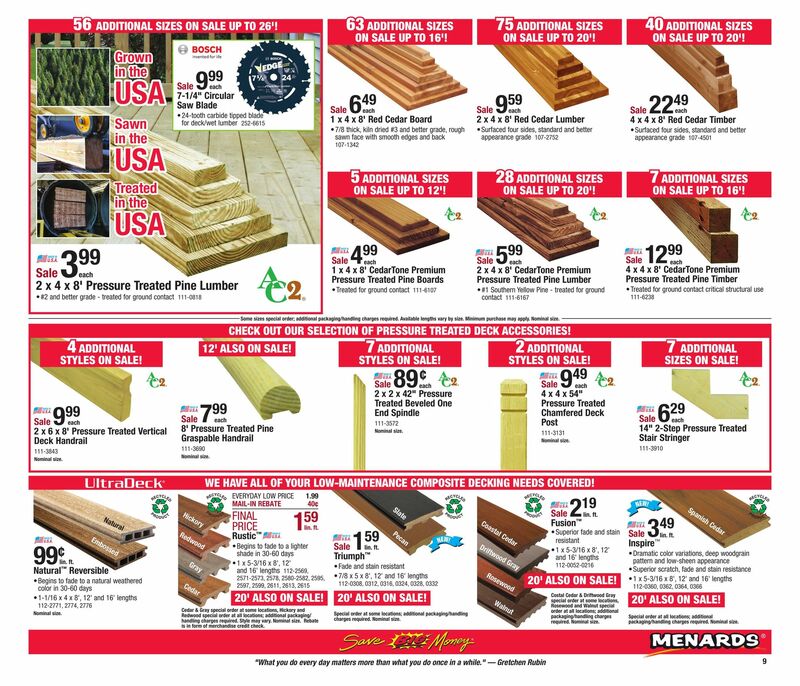 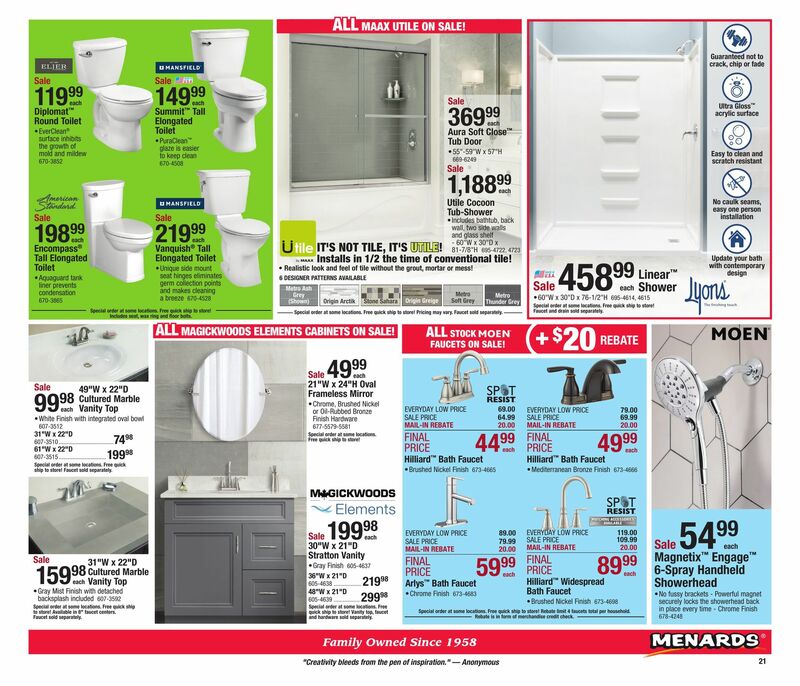 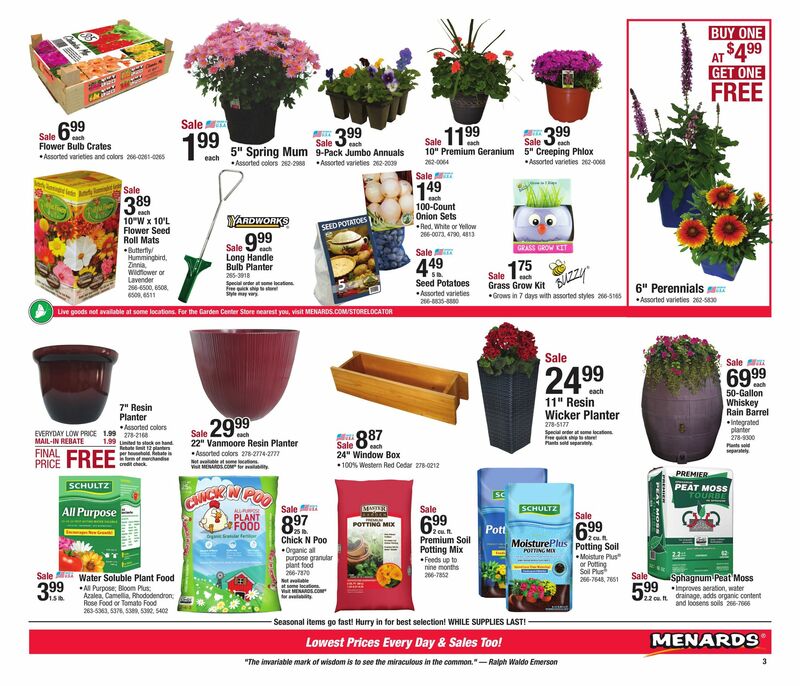 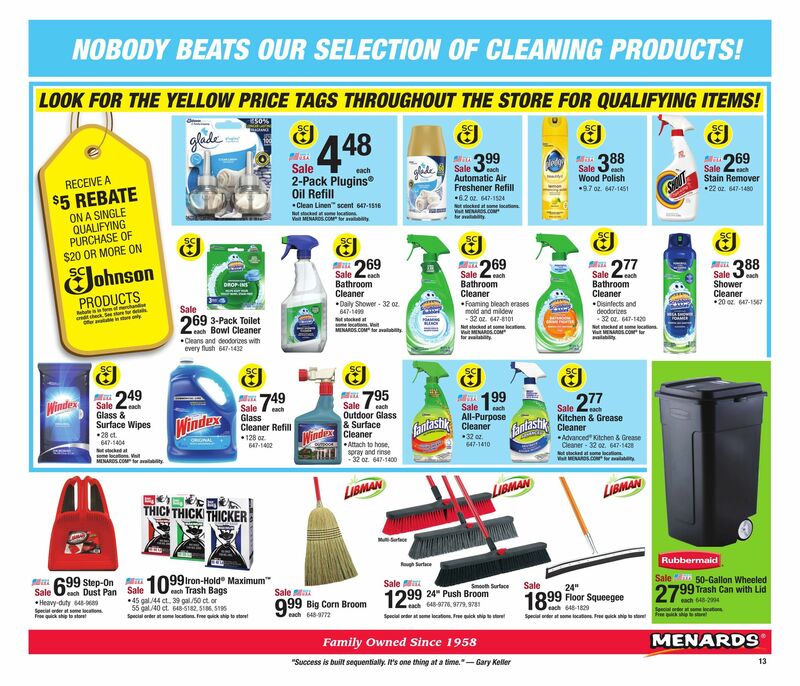 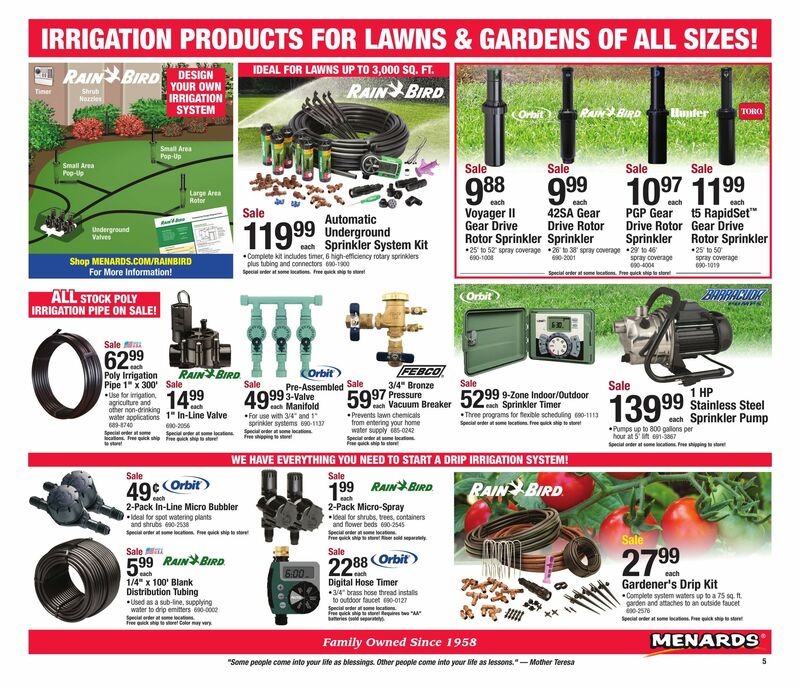 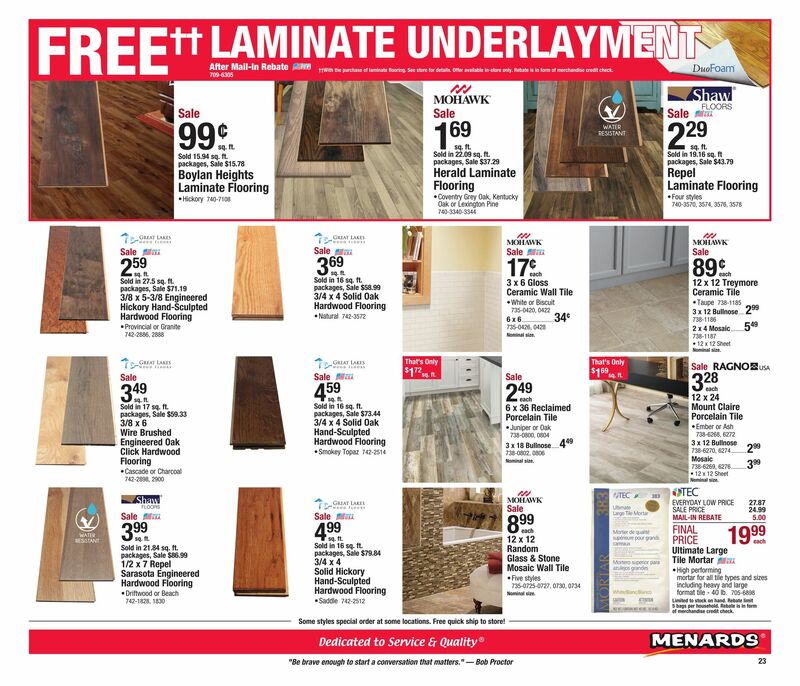 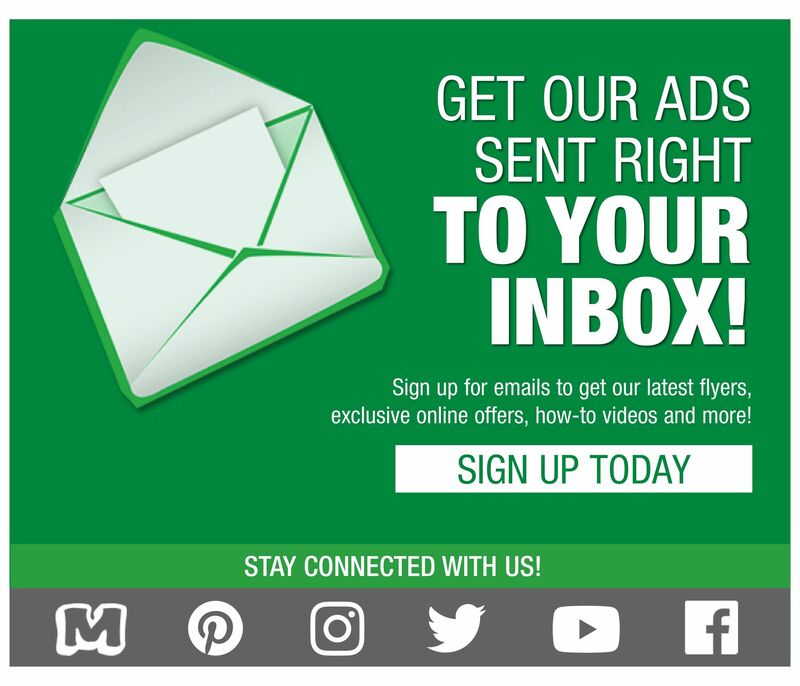 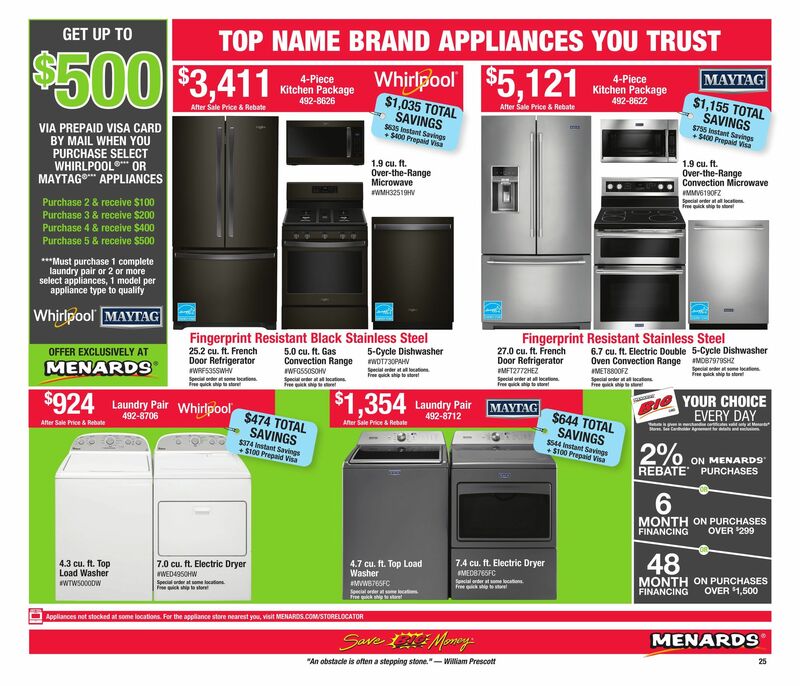 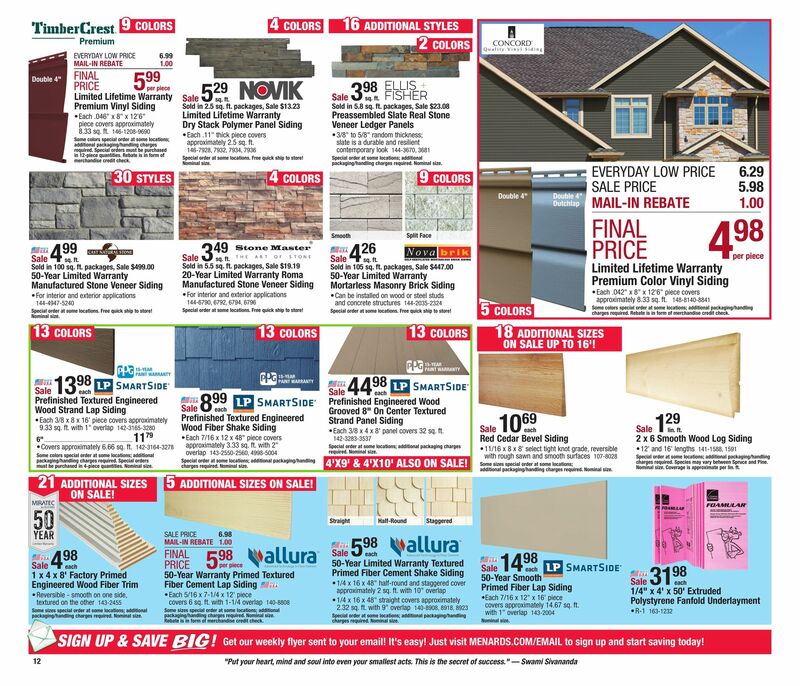 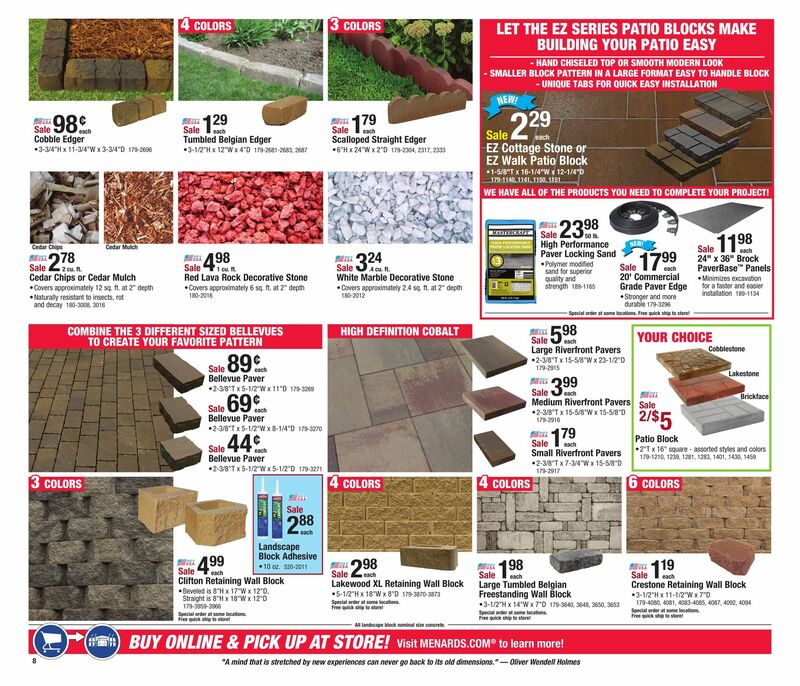 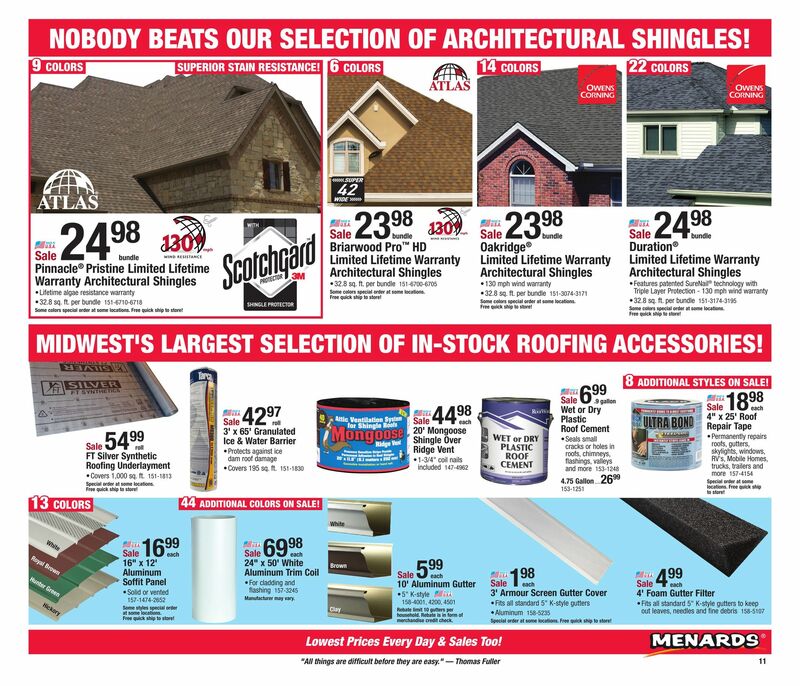 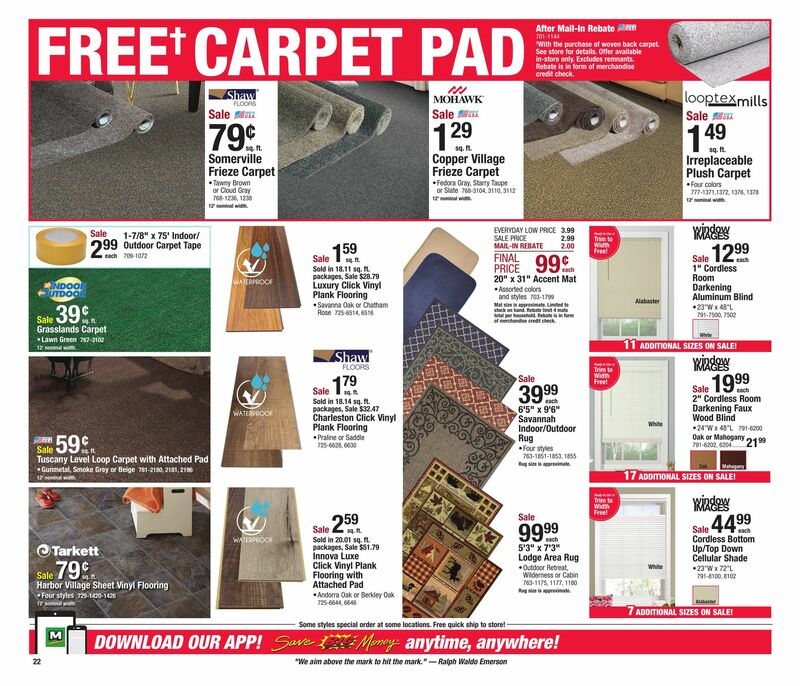 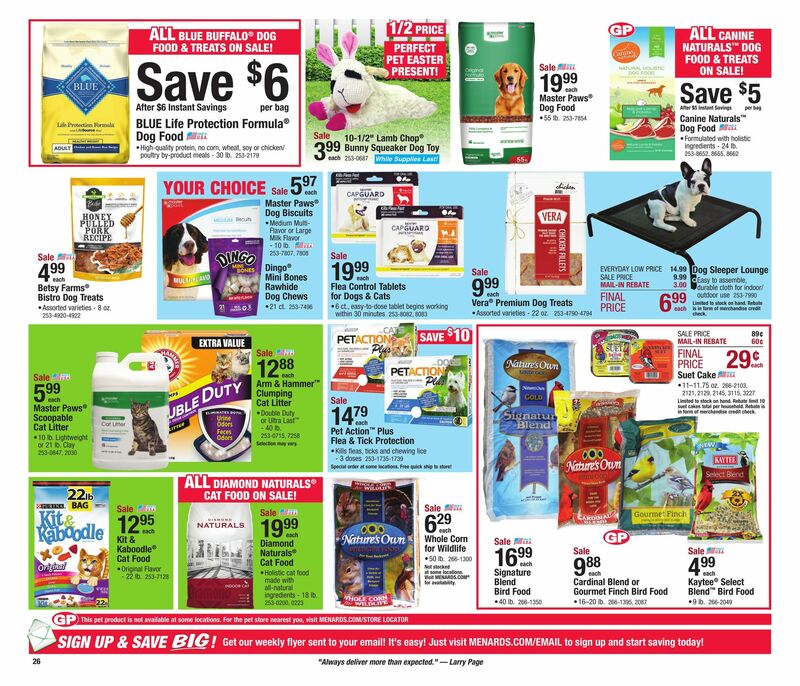 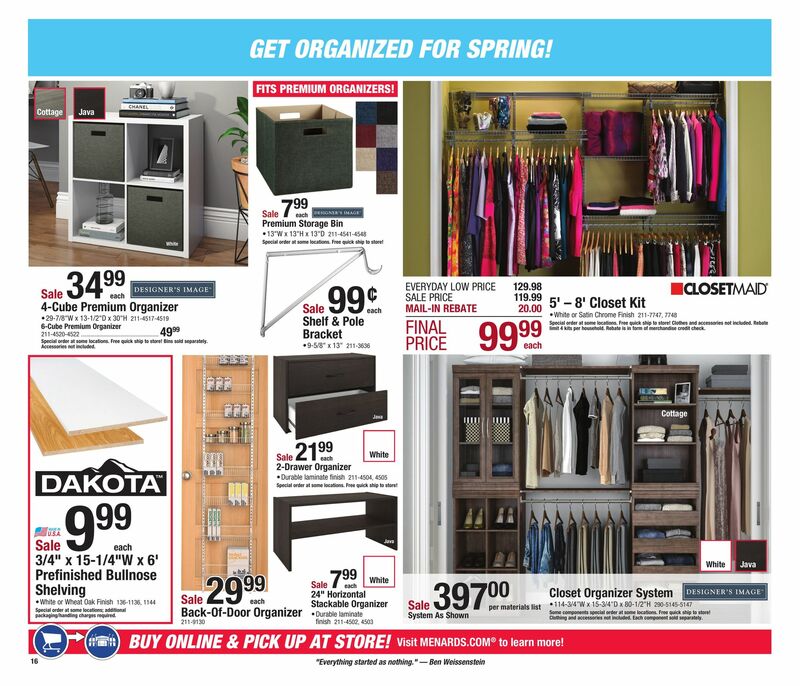 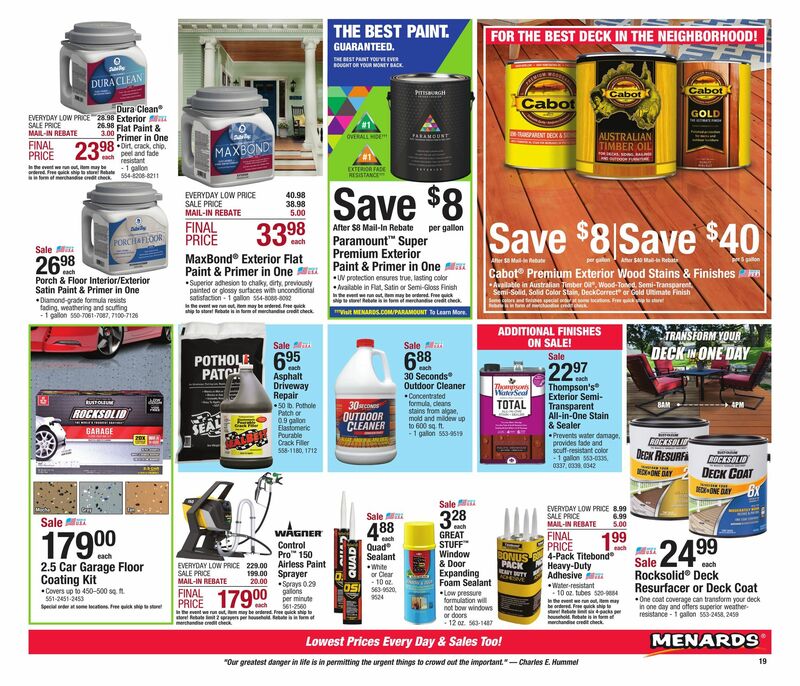 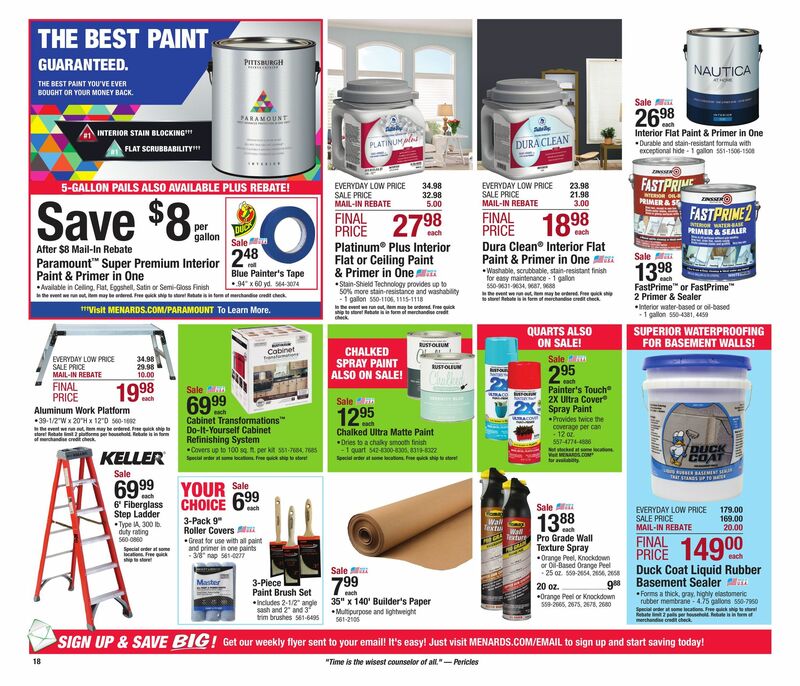 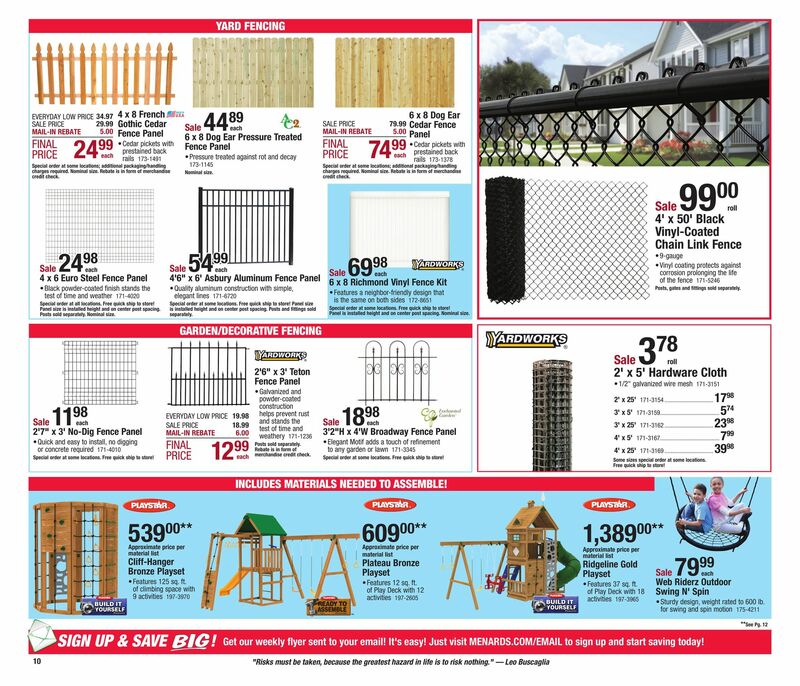 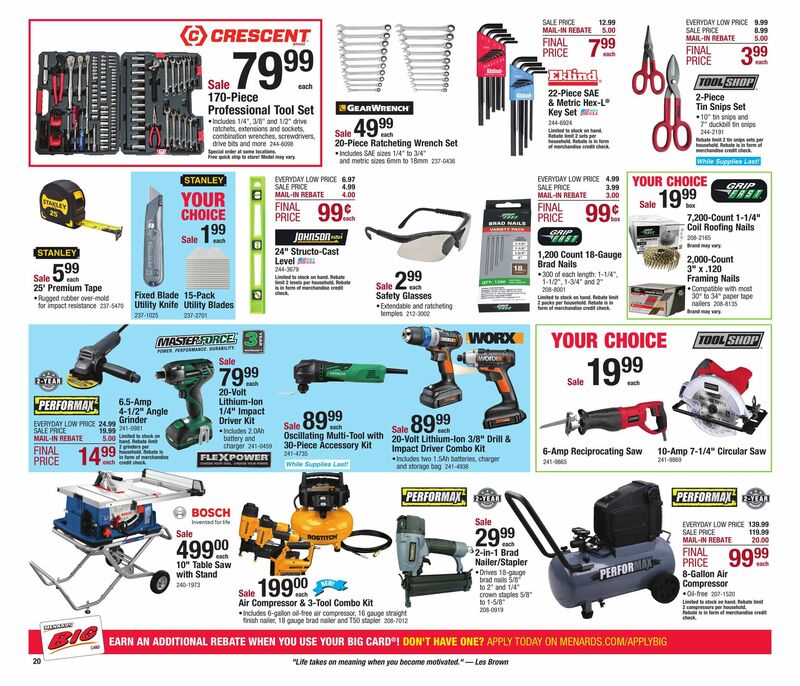 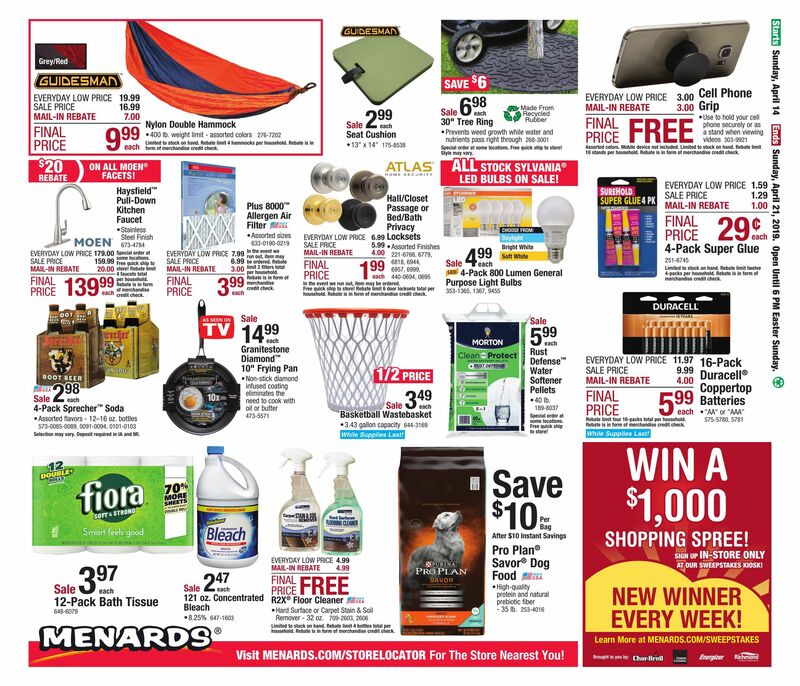 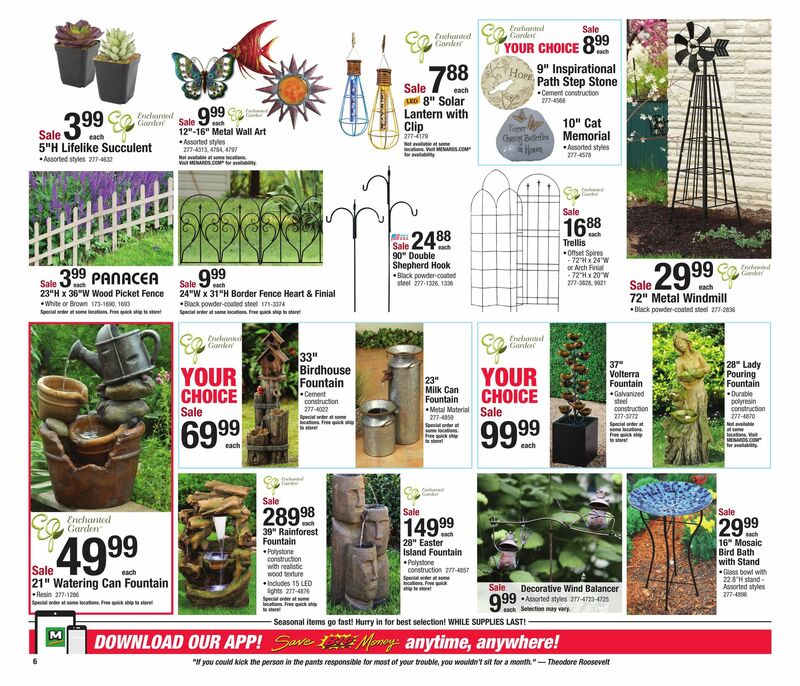 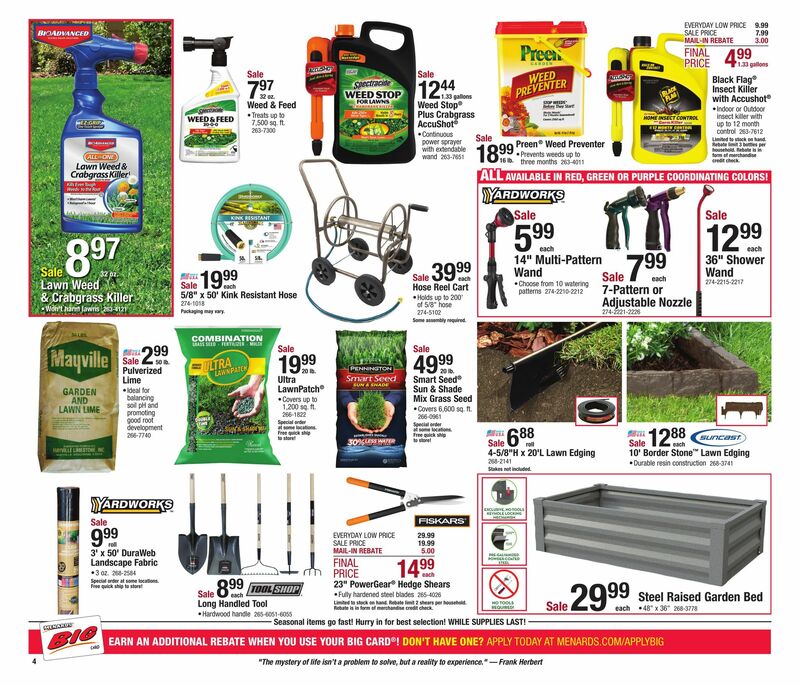 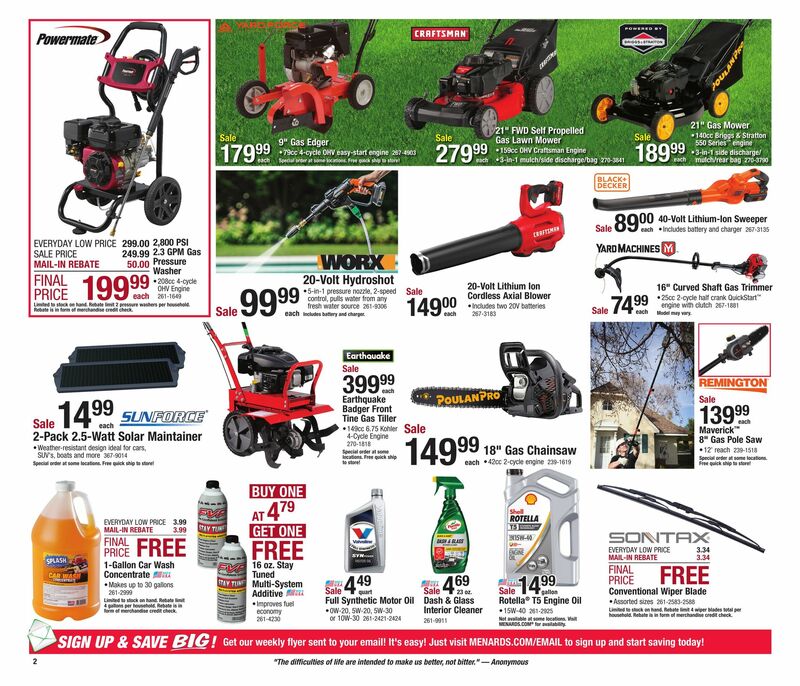 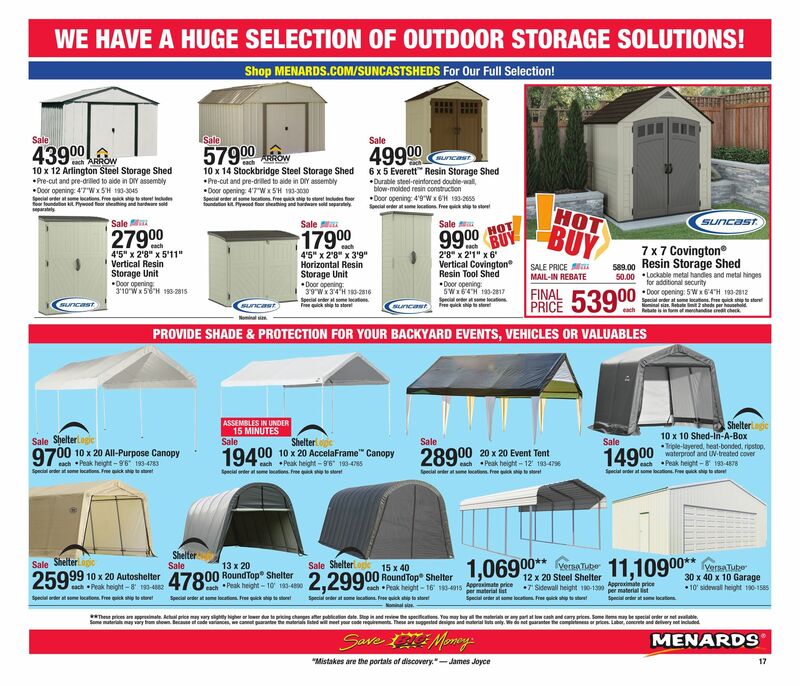 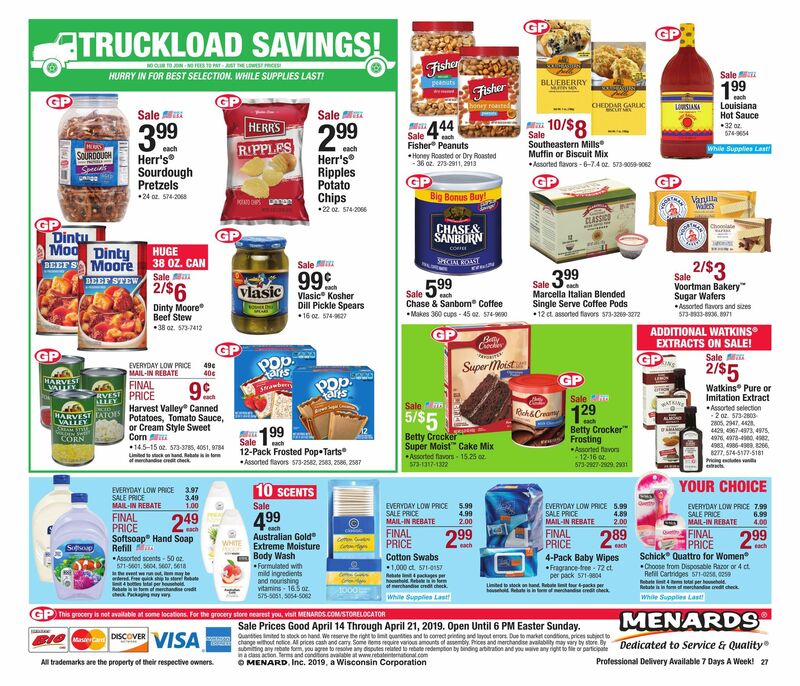 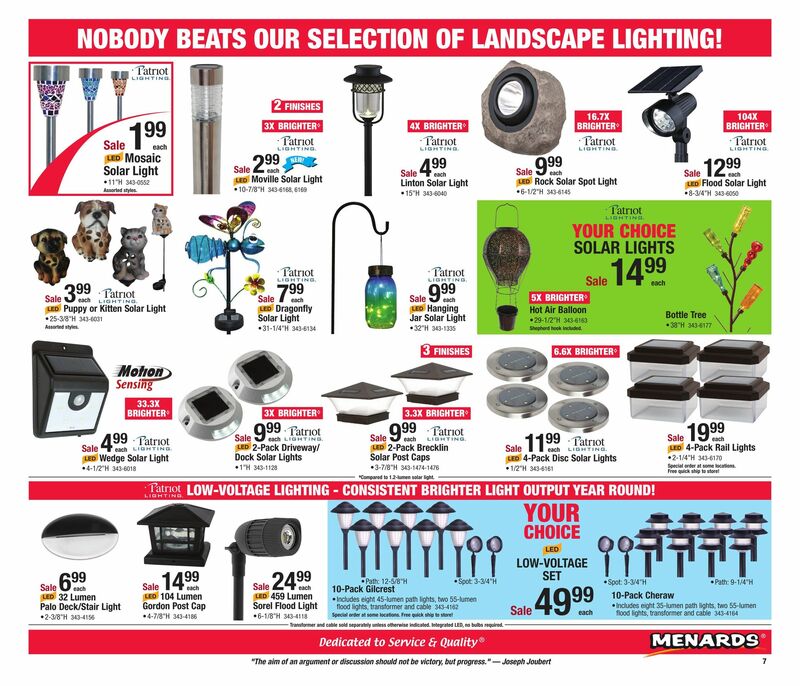 Menards Weekly Ad April 14 – April 21, 2019.